Over the last few decades I have had the opportunity to visit several different micro-breweries all over the country. 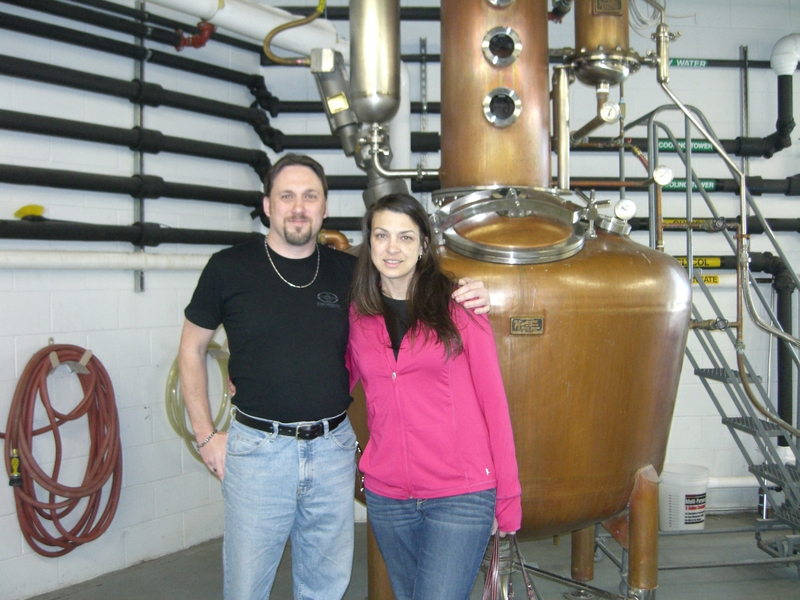 It wasn't until this past March that I was able to visit a micro-distillery. 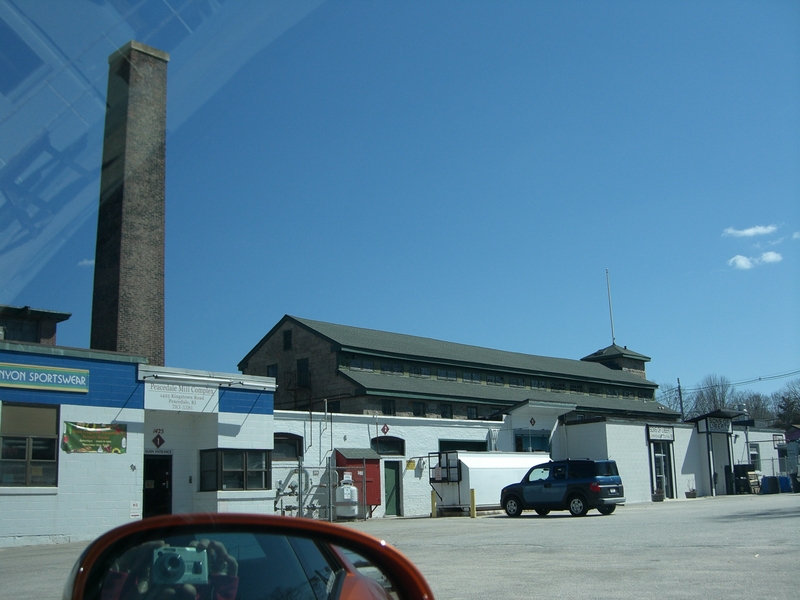 On a trip to Rhode Island, I stopped at Sons of Liberty (SOL) which started creating a single malt whiskey. 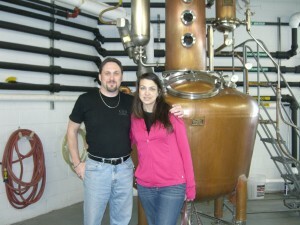 It was an amazing experience where I was able to tour the distillery and taste a sample of the products. Their philosophy from the beginning was the whiskey is only as good as its core ingredient, beer. 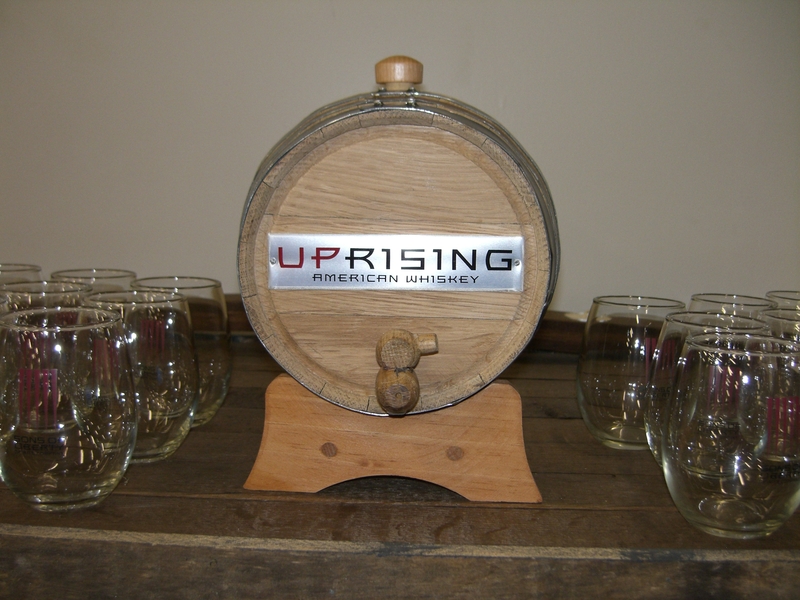 They created their own beer so that the whiskey would embrace its core flavor. During the tour, Bryan was great. He took the time to explain the whole process from start to finish. Since I had already been beer brewing, I knew some of the steps involved in the process. The best part of the tour was getting to see the distillery. I had never seen one up close before and Bryan took the time to really explain how this one worked. The first creation of SOL was Uprising. It started with a stout created by the team at SOL and goes through the distillation process. It was then placed in Stainless steel containers with oak boards in it so that it would give the whiskey the right flavor. Upon trying it, I immediately loved it. It had great flavor with a bit of a bite at the end that didn't linger too long. Our second tasting was a new creation that they were working on. They hadn't named it yet, but it was going to be offered as a summer seasonal. The taste was very different from anything I had tried before. They started with a hoppier beer and finished off the distillation process with some dry hops to enhance the flavor. I am not a huge fan of the hops flavor, however, if you are into the hoppy beers, you will definitely enjoy this whiskey. The third tasting was their line of Loyal 9 Vodka which included a plain vodka, mint & cucumber vodka and dark chocolate & vanilla bean vodka. All three had great flavors and were very smooth. I have to admit, the last one was my favorite just because it had chocolate in it. Add the smell from the vanilla with the hint of chocolate and I could swear the creation was straight from a bakery. I also thought it would add another dimension to some of my favorite mixed drinks to enjoy during the summer months hanging out on the back deck. The tour, tasting, and souvenir glass was reasonable for $10 a person. What made the experience was the guys giving the tour and tasting were the ones making the whiskey and vodka. I saw their pride and enthusiasm for what they are creating.